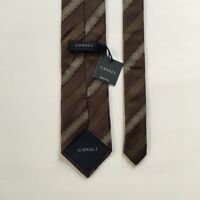 CANALI Silk Tie. Brownish with Whimsical Light Blue Pattern. Made in Italy. 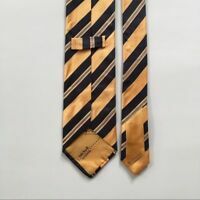 Men's Italo Ferretti Silvi Marina 100% Silk Neck tie made in Italy 60" x 3 3/4"